The island’s beautiful coral reef and warm Indian Ocean water affords Kuramathi with a wealth of water based activities to enjoy during your stay. The 9 restaurants and 6 bars provide a potpourri of flavours and perfect place take in this wonderful island. 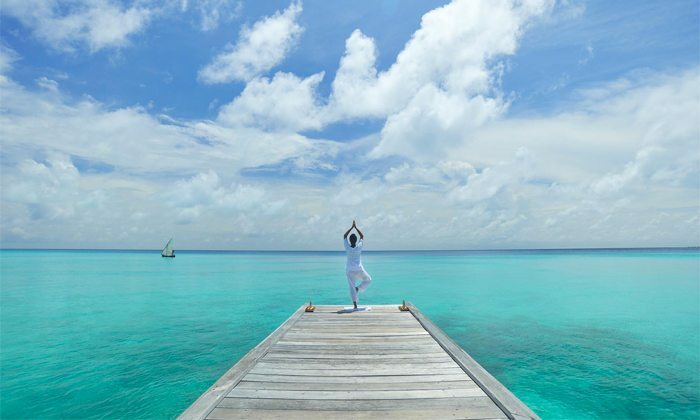 The Spa at Kuramathi Island Resort offers a tranquil spa set in the heart of the resort, surrounded by private lush gardens with Ocean views. There is 13 treatment rooms, with 1 couples water pavilion massage room and 2 couples beach pavilion massage and tatami rooms. There is also a beauty care couples room and a manicure and pedicure couples room. As well as an additional 7 beach side couples room you can retreat to the private herbal bath treatment room. As well as a riveting menu of spa delights you can make use of the facilities in the spa, which include male and female wet areas, rain showers, Herbal Essence steam bath, Finnish sauna, cool dip pool and Jacuzzi. Enjoy a welcome herbal tea in the Spa Lounge before your treatment, giving you a relaxing time from beginning to end. 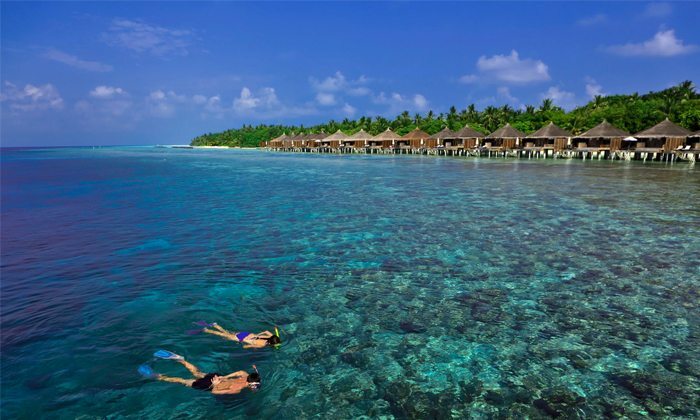 Thrilling adventures are aplenty with the selection of aquatic sports provided on the sparkling lagoon at Kuramathi. For a serene experience the catamaran cruises, sailing and glass-bottomed boat trips are a great way to see the island. For the more energetic guests wake boarding, rowing, windsurfing and kayaking are all great options and for the really daring the water skiing, banana rides and fun tubes are ideal for those looking for a true thrill. 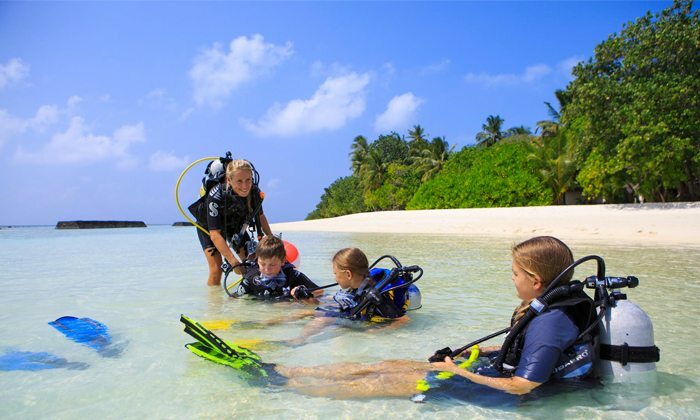 With kaleidoscopic marine life and sparkling reefs scuba diving and snorkelling at Kuramathi is a real highlight. There are two diving centres on the island for you to choose from with friendly instructors on hand to help you along the way and direct you to the best diving spots. The Rasdhoo divers offer many different types of diving courses for all abilities where you will have the opportunity to see a vast array of fish including: turtles, rays, barracuda, mantas and numerous types of sharks. Kuramathi is also blessed by having world-famous Hammerhead Shark Point a mere eight minutes away by boat – one of the few remaining places in the world where you can still see these magnificent creatures. Together with our resident Marine Biologist, spend a couple of hours exploring the vibrant corals and underwater life around the outer reefs of Rasdhoo, Madivaru and Madivaru Finolhu. This excursion is recommended for experienced snorkellers only. Do remember your snorkelling equipment! Big game fishing in the bountiful Maldivian seas is quite an unforgettable experience. If you are an enthusiastic fisherman, you will certain enjoy our modern boat ‘Rainbow Runner’ with its comfortable seats and sundeck over the roof. The catch varies depending on the time of the year, but big fish such as Wahoo, Barracuda and Sailfish can be caught. We fully support ‘tag and release’ policies and encourage all guests not to take more than one bill fish (sailfish, marlin or sword fish). A must do! Take this chance to enjoy fiery Maldivian sunsets with a glass of sparkling wine. Don’t forget to take your cameras, as you may just bump into some dolphins. 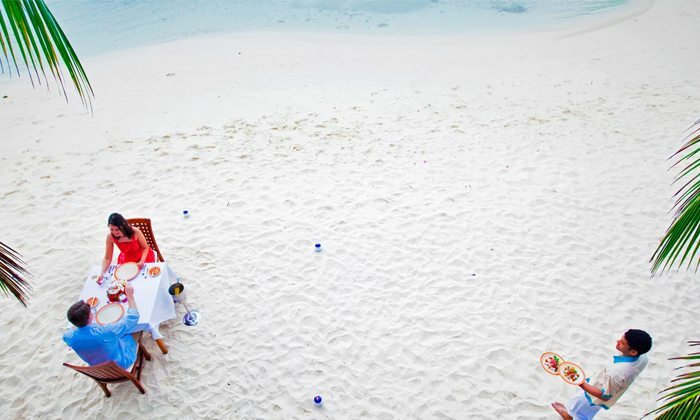 At Kuramathi there is a host of options when it comes to sporting and recreational activities to keep you entertained. 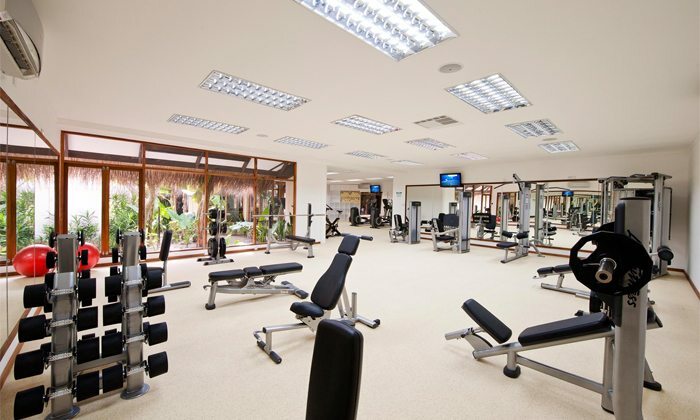 Kuramathi’s modern fitness centre features state-of-the-art equipment to help you maintain you fitness and reach all of you goals during your time at the resort. Kuramathi features a floodlit tennis court along with table tennis, volleyball and football being some of the sports you might want to take advantage of and with the resort catering for.  This is a full day trip and your chance to explore a bit of the Maldives. During this trip, we visit a local fishing village (Thoddoo or Ukulhas), another resort (Veligandu) and an idyllic deserted island (Madivaru) for a barbecue lunch and some snorkelling. Do remember to take your snorkelling gear. When visiting local islands, we ask all ladies to cover their shoulders and thighs. Rasdhoo is the capital city of North Ari Atoll. Visit the island for a glimpse of local lifestyle and culture, or for some souvenir shopping. We ask all ladies to cover their shoulders and thighs when visiting Rasdhoo. Coral Romance (Overnight Excursion) – a patch of paradise! For ultimate relaxation, tranquillity and some pampering, take a trip to the heavenly island of Kandholhu, reached 45 minutes by speedboat. 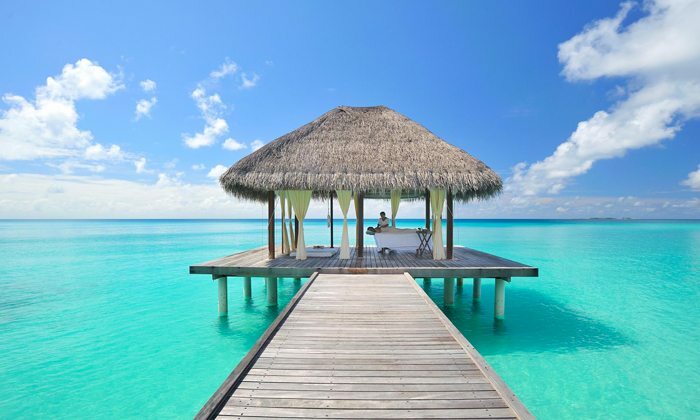 Surrounded by a stunning beach, this small and lush island boasts one of the most beautiful house reefs in the Maldives.